New faucets, fixtures, showers, sinks, and toilets can update a remodeling project and revitalize a kitchen or bathroom. City Wide’s experienced plumbing technicians will assist you in the selection of your new bathtub, bidet, disposal, faucets, fixtures, toilets, sinks, soap dispenser for your bathroom and kitchen in your home. Our Badger® 5 models provide offers a heavy duty motor and space-saving compact design. InSinkErator Badger® food waste disposals are a reliable and functional choice when affordability is the prime concern. Choose from three models, each with a space-saving compact design. The Evolution Essential® featuring Multigrind technology does what standard garbage waste disposals cannot. It handles far more volume and makes far less noise, a perfect solution for a wide variety of kitchens. With an InSinkErator® garbage waste disposal in your kitchen, chicken bones, fruit rinds, coffee grounds and more can go right in the sink where they are virtually liquefied to safely flow into your sewage system or septic tank. You will enjoy a cleaner food preparation area, and less bagged garbage cluttering your home. MultiGrind™-Two grind stages let you quickly grind difficult food waste you would not put in a standard disposal, such as celery and potato peels. SoundSeal®-Makes the Evolution Essential® at least 40% quieter than standard disposals. 40-Ounce Stainless Steel Grind Chamber and Grind Components handle more volume than standard garbage disposals. 3/4 Horsepower Dura-Drive® Induction Motor gives you more horsepower than standard garbage disposals. Quiet-Collar® Sink Baffle ensures quiet operation. How much will it cost to install new plumbing fixtures? The cost depends on what your needs are. City Wide plumbing offers a free in-home estimate on all kitchen, bathroom fixtures, faucets and plumbing services. What is the warranty on the products you sell? 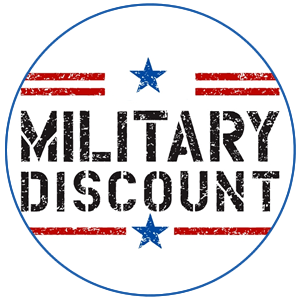 Depending on what you purchase, we can advise you of the warranty or click on the links below to check out the manufacturer warranties and product information. How do I care for the finish on my kitchen or bathroom faucet? Wipe the faucet with a damp cloth and a mild soap and then dry with a soft cloth. A good coat of car wax every three months will also help protect the finish on all bathroom faucets and kitchen faucets. Why do I not have any pressure on the hot or cold side of my faucet? Unscrew the aerator and turn the faucet on. If it works, the aerator was plugged so flush the aerator with water or soak it in white vinegar for about two hours. If you still have no water flow the problem could be in the fixture’s cartridge or angle stops. Why does my toilet kicks on and off? Your toilets flapper that is losing its seal or a fill valve that is siphoning could cause this. How do I find parts for my faucet? You can look at your owner’s manual or the manufacturer’s web sites listed above. My lavatory fixtures are showing signs of corrosion. What should I do? A soft water system will help this problem by removing the hard water deposits that cause the corrosion. What do I do about the bad odor coming from my disposer? Run a hand full of ice cubes through it once a month. Also, pour a small amount of liquid dishwasher soap once a month into the disposer and let it set for a couple of hours. 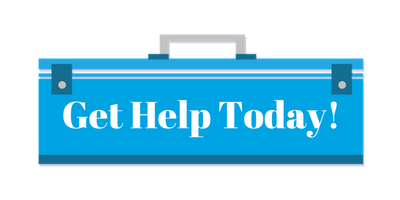 Update Your Plumbing Remodeling Project! Click on the manufacturer’s links and view their sites to determine what fixtures are currently available. If you would like to see the products first hand, email us and we will provide you with the address of our supplier’s show rooms. 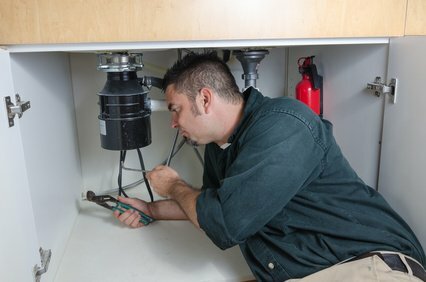 City Wide Plumbing and Service Company is a full service plumbing company located in Tempe Arizona serving both residential and commercial customers in the East Valley. We offer professional plumbing solutions at affordable prices on any type of plumbing repair or service. 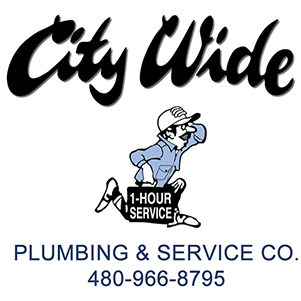 Since 1982, City Wide Plumbing has provided customers with fast service, expert technicians, and quality service. We are your garbage waste disposal experts. If you have a clogged garbage disposal or a leaking disposal, City Wide Plumbing will assist you with your garbage disposal repair or replacement. Garbage disposals link the often disparate demands of convenience and conservation by grinding up kitchen scraps and sending them down the drain to a sewage-treatment plant or septic system for decomposition. Besides eliminating messes and discouraging bugs and other pests, a garbage disposal shifts food waste from landfills to a waste-water treatment system. Add in the many towns that charge by volume for waste removal, and it’s easy to see why nearly half of American homes have a garbage disposal. Home garbage disposals typically last about 10 to 12 years, according to In-Sink-Erator, though not all last that long. A longer warranty adds peace of mind. But it does not guarantee longer life and can make some models cost more than other similar machines. City Wide recommends and installs the garbage disposals listed below. We can help you choose a food waste disposal system that works best with all your cooking needs.